RVNA’s DJ Insurance in minutes covers a DJ’s business including all the cool gear & equipment. The Best Insurance for DJs. Why? WONDERING WHAT COVERAGE YOU REALLY NEED? Just ask. Call us at 1-800-364-2433 or visit DJ Insurance In Minutes. Like Event Insurance in Minutes, DJ Insurance in Minutes is also available exclusively through R.V. Nuccio & Associates, Inc., providing event insurance for over 25 years. 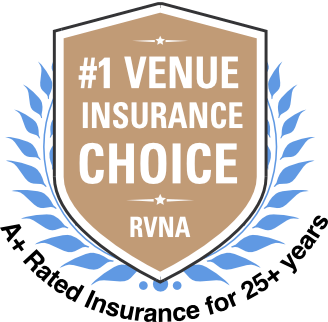 The coverage we offer is preferred and often recommended by venues nationwide. We cover thousands of events each year including multiple day festivals, parties of varying sizes and seasonal events such as pumpkin patches, street fairs and more. When I spoke to Alessandra this week she did a great job assisting me over the phone with my policy questions. I just renewed our Booster Club Policy on the phone with Ami Kim. She was very pleasant and professional and the process was quick and easy! Thank you, Ami and RV Nuccio. This review is for miss Ami I had the pleasure of speaking with her today regarding a quote on insured event, she was super helpful & one thing I really liked was how patient she was with me. Now in days I feel people try & rush you over the phone. Thank you Ami for being so polite and attentive... read moreThis review is for miss Ami I had the pleasure of speaking with her today regarding a quote on insured event, she was super helpful & one thing I really liked was how patient she was with me. Now in days I feel people try & rush you over the phone.